Jonas Tallberg is Professor of Political Science at Stockholm University, where he coordinates the research group on global and regional governance, selected as a leading area of research at SU. His primary research interests are global governance and European Union politics. He currently directs the research program Legitimacy in Global Governance (LegGov), funded by Riksbankens Jubileumsfond for the period 2016-2021; the research project Performance of International Organizations (PIO), funded by the Swedish Research Council for the period 2014-2018; and the SU group of the research project EMU Choices, funded by EU Horizon 2020 for the period 2015-2019. Tallberg’s book publications include Legitimacy in Global Governance: Sources, Processes, and Consequences (Oxford University Press, forthcoming, co-edited), The Opening Up of International Organizations: Transnational Access in Global Governance (Cambridge University Press, 2013, co-authored), Leadership and Negotiation in the European Union (Cambridge University Press, 2006), and European Governance and Supranational Institutions (Routledge, 2003). His articles have appeared in journals such as International Organization, International Studies Quarterly, British Journal of Political Science, Review of International Organizations, European Journal of International Relations, Journal of Common Market Studies, Journal of European Public Policy, and West European Politics. Tallberg has won numerous awards for his research, including the Friedrich Wilhelm Bessel Research Award from the German Humboldt Foundation in 2012, the JCMS Prize for the best articles in Journal of Common Market Studies in 2000 and 2004, and the Forskraft Award for the best Swedish dissertation on international relations 1998-2003. He has been awarded research grants from, among others, the European Research Council, the Fulbright Commission, the Swedish Research Council, Riksbankens Jubileumsfond, and the Nordic Research Academy. Tallberg has been a visiting researcher at Harvard University, Stanford University, McGill University, WZB Berlin Social Science Center, Ludwig-Maximilians-Universität München, Institute for Advanced Studies in Vienna, Centre for Advanced Study in Oslo, and the European Commission. From 2009 to 2011, he chaired the Democratic Audit of the Centre for Business and Policy Studies (SNS Demokratiråd), and from 2009 to 2015, he served on the Executive Committee of the European Consortium for Political Research (ECPR). Once the exclusive preserve of member states, international organizations have become increasingly open in recent decades. Now virtually all international organizations at some level involve NGOs, business actors and scientific experts in policy-making. This book offers the first systematic and comprehensive analysis of this development. Combining statistical analysis and in-depth case studies, it maps and explains the openness of international organizations across issue areas, policy functions and world regions from 1950 to 2010. Addressing the question of where, how and why international organizations offer transnational actors access to global policy-making, this book has implications for critical issues in world politics. When do states share authority with private actors? What drives the design of international organizations? How do activists and businesses influence global politics? Is civil society involvement a solution to democratic deficits in global governance? Jonas Tallberg offers a novel perspective on some of the most fundamental questions about international cooperation and European Union politics. 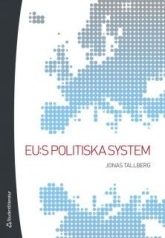 In the first systematic theoretical and empirical exploration of the influence wielded by chairmen of multilateral negotiations, Tallberg develops a rationalist theory of formal leadership and demonstrates its explanatory power through carefully selected case studies of EU negotiations. His provacative analysis establishes that Presidents, while performing vital functions for the EU, simultaneously exploit their privlieged political position to favor national interests. Extending the scope of the analysis to international negotiations on trade, security and the environment, Tallberg further demonstrates that the influence of the EU Presidency is not an isolate occurrence but the expression of a general phenomenon in world politics - the power ofh the chair. What drives the political and legal enforcement of member state compliance within the European Union? 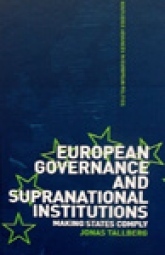 European Governance and Supranational Institutions examines the role of the European Commission and the European Court of Justice in compliance politics, tracing development since the 1970s and describing strategies for strengthening the EU's enforcement system. The author shows how supranational institutions have played an independent role in the creation of a European enforcement system, which is exceptionally effective compared to that of other international organizations. This books makes important theoretical and empirical contributions to the study of European governance. Drawing on principal-agent theory, Tallberg uses a novel principal-supervisor-agent model, specifically designed to explain strategic interaction in the enforcement phase of international cooperation. Charting previously undocumented processes, the book unveils the dynamics of compliance politics. It will appeal to all those interested in the European Union and international relations theory. The nature of global governance is changing, as are the standards by which we judge its legitimacy. Whereas international institutions were long the exclusive preserve of national governments, the past decades have witnessed a gradual and partial shift from interstate cooperation to more complex forms of governance, involving participation by transnational actors, such as non-governmental organizations (NGOs), advocacy networks, party associations, philanthropic foundations, and multinational corporations. Increasingly, states and international institutions are engaging transnational actors as policy experts, service providers, compliance watchdogs, and stakeholder representatives. This volume analyzes the reasons behind, and consequences of, the growing involvement of transnational actors in established international institutions. It provides comparative analyses of varying transnational access and participation in different international organizations and issue-areas. Combining normative democratic theory and empirical research, it offers innovative interpretations of the democratic legitimacy of current arrangements. Ordförandeskapet i EU:s ministerråd under det första halvåret 2001 utgjorde den i särklass viktigaste Europapolitiska händelsen för Sverige sedan inträdet 1995. När nu ordförandeskapsyran lagt sig inträder reflektionens och svarens tid. Vad hände egentligen under ordförandeskapet? Hur kan vi förklara utfallet av ordförandeskapet? Vad innebar ordförandeskapet för EU:s politiska utveckling, svensk inrikespolitik och svensk Europapolitik? Vad nytt kan vi lära av det svenska ordförandeskapet om hur EU:s politiska system fungerar? I boken När Europa kom till Sverige belyses ordförandeperioden utifrån tre huvudsakliga teman: Sveriges ordförandeskap – förväntningar och utfall, Sveriges ordförandeskap i ett komparativt perspektiv, och svensk Europapolitik i ljuset av ordförandeskapet. EU är en integrerad del av svenskt samhällsliv, precis som Sverige är en del av EU:s politiska system. Svenska ministrar, parlamentariker, tjänstemän, intressegrupper och väljare medverkar alla på olika sätt i EU:s politiska processer, samtidigt som de beslut som fattas i något av EU:s olika organ får politiska, ekonomiska och sociala konsekvenser i Sverige. Trots detta är det få som känner till det komplicerade maskineri som utgör EU:s politiska system. Den här boken syftar till att göra EU:s politiska maskineri begripligt. Hur fungerar egentligen EU? Vad gör EU:s olika institutioner? Vem har makt och inflytande i EU:s politiska process? Hur omsätts konkurrerande intressen i gemensam EU-politik? Boken vänder sig främst till universitetsstuderande i ämnen med krav på en grundläggande förståelse av EU, men är även lämplig som referensverk för den svenska statsförvaltningen. Denna femte och reviderade upplaga tar även upp finanskrisens effekter för EU som politiskt system. I denna heltäckande grundbok behandlas frågor som: Varför uppstår krig? Vad har globaliseringen för politiska effekter? Vem har makt i internatonell politik? Hur kan utvecklingsländerna hävas ur fattigdom? Vilka motiv driver transnationella terroristnätverk? När har normer och internationella institutioner betydelse? Under vilka omständigheter får nationella identiteter genomslag i världspolitiken? Boken innehåller pedagogiska illustrationer och flera exempel från Sveriges relationer till omvärlden. Den är skriven för studenter vid universitet och högskolor som möter ämnet internationella relationer för första gången. NGO Influence in International Organizations: Information, Access, and Exchange. British Journal of Political Science, forthcoming [with Lisa M. Dellmuth, Hans Agné, and Andreas Duit]. Advocacy Strategies in Global Governance: Inside versus Outside Lobbying. Political Studies, forthcoming [with Lisa M. Dellmuth]. Stability and Change in International Policy-Making: A Punctuated Equilibrium Approach. Review of International Organizations, forthcoming [with Magnus Lundgren and Theresa Squatrito]. Democratic Memberships in International Organizations: Sources of Institutional Design. Review of International Organizations, Vol. 11, No. 1, 2016 [with Thomas Sommerer and Theresa Squatrito]. Does Stakeholder Involvement Foster Democratic Legitimacy in International Organizations? An Empirical Assessment of a Normative Theory. Review of International Organizations, Vol. 10, No. 4, 2015 [with Hans Agné and Lisa M. Dellmuth]. The Social Legitimacy of International Organizations: Interest Representation, Institutional Performance, and Confidence Extrapolation in the United Nations. Review of International Studies, Vol. 41, No. 3, 2015 [with Lisa M. Dellmuth]. Explaining the Transnational Design of International Organizations. IInternational Organization, Vol. 68, No. 4, 2014 [with Thomas Sommerer, Theresa Squatrito and Christer Jönsson]. Dispute Settlement in World Politics: States, Supranational Prosecutors and Compliance. European Journal of International Relations, Vol. 20, No. 1, 2014 [with James McCall Smith]. Europeiseringen av Norge i ett jämförande perspektiv. Internasjonal Politikk, Vol. 70, No. 3, 2012. The Power of the Chair: Formal Leadership in International Cooperation. International Studies Quarterly, Vol. 54, No. 1, 2010. Democracy in Global Governance: The Promises and Pitfalls of Transnational Actors. Global Governance, Vol. 16, No. 1, 2010 [with Magdalena Bexell and Anders Uhlin]. Explaining the Institutional Foundations of European Union Negotiations. Journal of European Public Policy, Vol. 17, No. 5, 2010. Explaining Chief Executive Empowerment: European Union Summitry and Domestic Institutional Change. West European Politics, Vol. 33, No. 2, 2010 [with Karl Magnus Johansson]. Bargaining Power in the European Council. Journal of Common Market Studies, Vol. 46, No. 3, 2008. Party Politics in the European Council. Journal of European Public Policy, Vol. 15, No. 8, 2008 [with Karl Magnus Johansson]. Uppsatsexamination i statsvetenskap: lärdomar från studentcentrerad pedagogik. Statsvetenskaplig Tidskrift, Vol. 109, No. 4, 2007. Formal Leadership in Multilateral Negotiations: A Rational Institutionalist Theory. The Hague Journal of Diplomacy, Vol. 1, No. 2, 2006. The Power of the Presidency: Brokerage, Efficiency, and Distribution in EU Negotiations. Journal of Common Market Studies, Vol. 42, No. 5, 2004. Silencer or Amplifier? The European Union Presidency and the Nordic Countries. 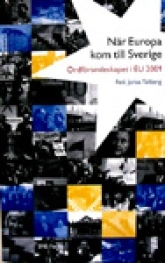 Scandinavian Political Studies, Vol. 27, No. 3, 2004 [with Rikard Bengtsson and Ole Elgström]. The Agenda-Shaping Powers of the EU Council Presidency. Journal of European Public Policy, Vol. 10, No. 1, 2003. Paths to Compliance: Enforcement, Management, and the European Union. International Organization, Vol. 56, No. 3, 2002. Delegation to Supranational Institutions: Why, How, and with What Consequences? West European Politics, Vol. 25, No. 1, 2002. The Anatomy of Autonomy: An Institutional Account of Variation in Supranational Influence. Journal of Common Market Studies, Vol. 38, No. 5, 2000. Supranational Influence in EU Enforcement: The ECJ and the Principle of State Liability. Journal of European Public Policy, Vol. 7, No. 1, 2000. Compliance and Post-Agreement Bargaining. European Journal of International Relations, Vol. 4, No. 4, 1998 [with Christer Jönsson]. Transnational Access to International Organizations 1950-2010: Structural Factors and Critical Junctures. In Thomas Rixen, Lora Viola and Michael Zürn (eds.) Historical Institutionalism in International Relations. Oxford: Oxford University Press, forthcoming [with Theresa Squatrito and Thomas Sommerer]. Transparency and Openness. In Ian Hurd, Ian Johnston, and Jacob Katz (eds.) Oxford Handbook of International Organizations. Oxford University Press, forthcoming. Orchestrating Enforcement: International Organizations Mobilizing Compliance Constituencies. In Kenneth Abbott, Philipp Genschel, Duncan Snidal and Bernhard Zangl (eds.) International Organizations as Orchestrators. Cambridge: Cambridge University Press, forthcoming. Vem har makten i Europa? In Li Bennich-Björkman (ed.) Statsvetenskapens frågor. Lund: Studentlitteratur, 2013. Civil Society and Global Democracy: An Assessment. In Daniele Archibugi, Mathias Koenig-Archibugi and Raffaele Marchetti (eds.) Global Democracy: Normative and Empirical Perspectives. Cambridge: Cambridge University Press, 2012 [with Anders Uhlin]. Global Stakeholder Democracy: A Reality- Check. In Lenita Freidenvall and Michele Micheletti (eds.) Comparison, Quotas and Critical Change. Stockholm: Department of Political Science, 2012. Transnational Actor Participation in International Institutions: Where, Why, and with What Consequences? In Christer Jönsson and Jonas Tallberg (eds.) Transnational Actors in Global Governance: Patterns, Explanations, and Implications. Basingstoke: Palgrave, 2010 [with Christer Jönsson]. Transnational Access to International Institutions: Three Approaches. In Christer Jönsson and Jonas Tallberg (eds.) 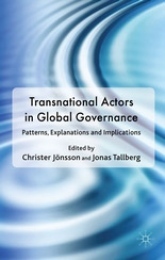 Transnational Actors in Global Governance: Patterns, Explanations, and Implications. Basingstoke: Palgrave, 2010. Transnational Access: Findings and Future Research. In Christer Jönsson and Jonas Tallberg (eds.) Transnational Actors in Global Governance: Patterns, Explanations, and Implications. Basingstoke: Palgrave, 2010 [with Christer Jönsson]. Explaining the Institutional Foundations of European Union Negotiations. In Andreas Dür, Gemma Mateo and Daniel Thomas (eds.) Negotiation Theory and the EU: The State of the Art. London: Routledge, 2010. Avslutning: Lärdomar från två svenska EU-ordförandeskap. In Rikard Bengtsson (ed.) I Europas tjänst: Sveriges ordförandeskap i EU 2009. Stockholm: SNS Förlag [with Rikard Bengtsson]. EU efter utvidgningen: farhågor, framgångar och framtidsfrågor. In Tommy Möller and Olof Ruin (eds.) En statsvetares olika sfärer: en vänbok till Daniel Tarschys. Stockholm: Hjalmarson & Högberg. Executive Power and Accountability in the European Union. In Sverker Gustavsson, Christer Karlsson, and Thomas Persson (eds.) The Illusion of Accountability in the European Union. London: Routledge, 2009. Party Politics in the European Council. In Bjorn Lindberg, Anne Rasmussen and Andreas Warntjen (eds. ) The Role of Political Parties in the European Union. London: Routledge, 2009. Summit Diplomacy in the European Union. In Karin Aggestam and Magnus Jerneck (eds.) Diplomacy in Theory and Practice: Essays in Honour of Christer Jönsson. Malmö: Liber, 2009. Institutional Theory in International Relations. In Jon Pierre, Guy Peters, and Gerry Stoker (eds.) Debating Institutionalism. Manchester: Manchester University Press, 2008 [with Christer Jönsson]. Formal Leadership by the Council Presidency. In Daniel Naurin and Helen Wallace (eds.) Games Governments Play in Brussels: Unveiling the Council of the European Union. Basingstoke: Palgrave, 2008. Executive Politics. In Knud Erik Jørgensen, Mark Pollack, and Ben Rosamond (eds.) Handbook of European Union Politics. London: SAGE, 2006. The EU Presidency: France in the 2000 IGC. In Derek Beach and Colette Mazzucelli (eds.) Leadership in European Treaty Reform. Basingstoke: Palgrave, 2006. Inledning. In Jakob Gustavsson and Jonas Tallberg (eds.) 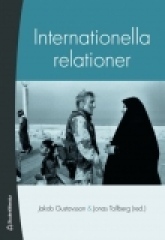 Internationella relationer. Lund: Studentlitteratur, 2006 [with Jakob Gustavsson]. Internationellt samarbete. In Jakob Gustavsson and Jonas Tallberg (eds.) Internationella relationer. Lund: Studentlitteratur, 2006. Compliance Bargaining. In Ole Elgström and Christer Jönsson (eds.) European Union Negotiations: Processes, Networks, and Institutions. London: Routledge, 2005 [with Christer Jönsson]. The Agenda-Shaping Powers of the Council Presidency. In Ole Elgström (ed.) European Union Council Presidencies: A Comparative Analysis. London: Routledge, 2003. Conclusion: Rationalist and Sociological Perspectives on the Council Presidency. In Ole Elgström (ed.) European Union Council Presidencies: A Comparative Analysis. London: Routledge, 2003 [with Ole Elgström]. Delegation to Supranational Institutions: Why, How, and with What Consequences? In Mark Thatcher and Alec Stone Sweet (eds.) The Politics of Delegation. London: Frank Cass, 2003. Sverige och efterlevnaden av EU:s regelverk. In Karl Magnus Johansson (ed.) Sverige i EU. 2nd edition. Stockholm: SNS Förlag, 2002. First Pillar: The Domestic Politics of Treaty Reform in Environment and Employment. In Finn Laursen (ed.) The Amsterdam Treaty: National Preference Formation, Interstate Bargaining and Outcome. Odense: Odense University Press, 2002. Framtidsfrågor och förändringsprocesser i EU. In Nils Karlson and Joakim Nergelius (eds.) EU-skvadern: Om den europeiska unionens konstitutionella framtid. Stockholm: City University Press, 2001. Introduktion: Sveriges ordförandeskap i EU. In Jonas Tallberg (ed.) När Europa kom till Sverige: Ordförandeskapet i EU 2001. Stockholm: SNS Förlag, 2001. Den politiska utmaningen: Nationella och europeiska intressen i konflikt? In Jonas Tallberg (ed.) När Europa kom till Sverige: Ordförandeskapet i EU 2001. Stockholm: SNS Förlag, 2001 [with Ole Elgström]. Avslutning: Ordförandeskapet och den svenska Europapolitiken. In Jonas Tallberg (ed.) När Europa kom till Sverige: Ordförandeskapet i EU 2001. Stockholm: SNS Förlag, 2001 [with Ole Elgström]. Sverige och efterlevnaden av EU:s regelverk. In Karl Magnus Johansson (ed.) Sverige i EU. Stockholm: SNS Förlag, 1999. Makten i Europa. Demokratirådets rapport 2011. Stockholm: SNS Förlag, 2011 [with Derek Beach, Daniel Naurin and Teija Tiilikainen]. Europeiseringen av Sverige. Demokratirådets rapport 2010. Stockholm: SNS Förlag, 2010 [with Nicholas Aylott, Carl Fredrik Bergström, Åsa Casula Vifell and Joakim Palme]. Europa efter utvidningen. Demokratirådets rapport 2009. Stockholm: SNS Förlag, 2009 [with Li Bennich Björkman, Daniel Naurin and Anna Michalski]. Bargaining Power in the European Council. Stockholm: Swedish Institute of European Policy Studies, 2007. Demokrati i EU. Demokratirådets rapport 2003. Stockholm: SNS Förlag, 2003 [with Olof Petersson, Ulrika Mörth and Johan P. Olsen]. Europeiska rådet i framtidens EU: stormaktsforum, mini-FN eller superregering? Report commissioned by the Swedish Institute of International Affairs, 2003. Europe at the Eve of the 21st Century: Deep Trends and Policy Changes. 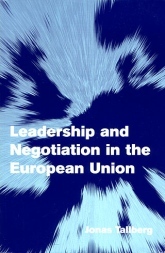 Conference Report commissioned by the Forward Studies Unit of the European Commission, 2000. Säkerhetspolitiska utvecklingstrender i ett svensk perspektiv - en scenariestudie. Report commissioned by the Swedish Agency for Civil Emergency Planning, 2000 [with Annika Björkdahl]. Project on European Integration Indicators: People’s Europe. Brussels: Forward Studies Unit, European Commission, 1999 [with Anna Michalski]. The TRANSACCESS dataset is designed to map the access of transnational actors (NGOs, CSOs, MNCs, etc.) to international organizations.It contains information on the level of openness in 298 bodies of 50 international organizations from 1950 to 2010. The purpose of this research program is to offer the first systematic and comprehensive analysis of legitimacy in global governance. To what extent are global governance institutions (GGIs) regarded as legitimate? What explains that legitimacy? By what processes are GGIs legitimated and delegitimated? What are the consequences of legitimacy (or its absence) for the functioning of GGIs? How are these legitimacy dynamics in global governance similar to or different from the dynamics of legitimacy in the nation-state and other forms of governance? While legitimacy in global governance has generated growing interest in recent years, it has not yet been researched methodically by a coordinated team of specialists. We address the overarching question of why, how, and with what consequences GGIs gain, sustain and lose legitimacy by exploring three principal themes: (1) sources of legitimacy, (2) legitimation and delegitimation strategies, and (3) consequences of legitimacy. In the broadest sense, the program considers what systematic attention to legitimacy can tell us about world politics, and what experiences from world politics suggest for understanding legitimacy in contemporary politics generally. Many problems confronting today’s societies are transnational in character, leading states to increasingly rely on international organizations (IOs) for policy solutions. Yet the performance of IOs varies extensively. While some IOs are highly successful in developing, adopting, and enforcing policy, others are less successful. How can we account for this mixed record in IO performance? Are there identifiable factors that make IOs work better or worse? While existing research points to a multitude of factors that are beyond the control of IOs themselves, this project explores when, how, and why the institutional design of IOs shapes their performance. The project adopts a mixed-method design, combining a statistical analysis of performance in a large number of IOs with in-depth case studies of select IOs. It spans IOs in multiple policy areas and world regions over the time period 1950 to 2010. The project promises three central contributions to research and policy. First, it will offer the most systematic and comprehensive analysis so far of how institutional design shapes the performance of IOs. Second, it will generate a unique dataset on the policy output of IOs of extensive value to the research community. Third, it will be policy relevant, by providing policy-makers with evidence on the effects of design choices that can help them to systematically improve global governance. The purpose of this project is to determine how the EU is working to promote, protect and fulfilchildren's rights in its external policy. It will establish how children´s rights became an issue on the EU's foreign policy agenda and how it is being implemented through various policy and financial instruments. The project combined a top-down analysis of the policy process with a bottom-up context of local/regional implementation in two recipient countries, Ethiopia and Vietnam. The results of the project will help to identify obstacles to, and strategies favouring, the protection of children's rights through development policy, and more broadly, the effectiveness of right-based and gender sensitive approached to development and policy mainstreaming as strategy in EU external action.